CG Professional are very proud to announce that we have appointed Andy Dunn as our new Client Relationship Director. Andy joins our fast-expanding Lancashire legal practice from financial services giant Lombard PLC, where he held a similar role. 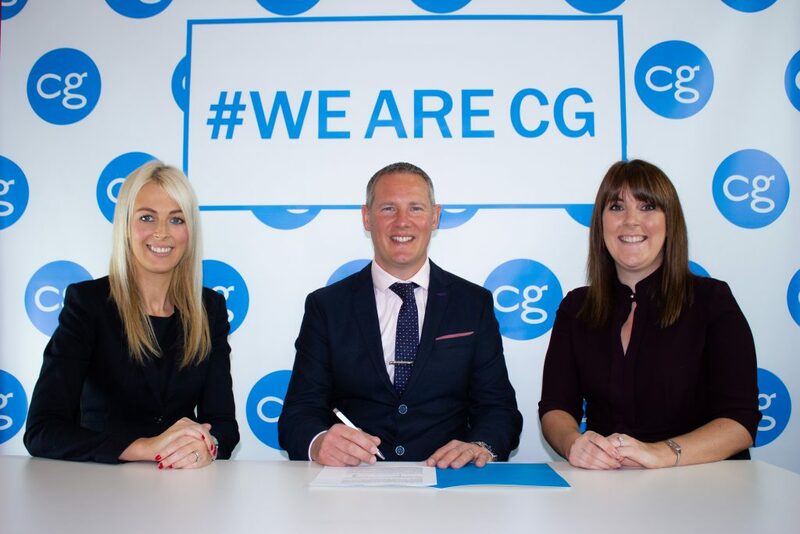 “Andy is a dynamic and experienced professional and will help bring a keen strategic focus and drive to business development,” says Stacey Turner, who co-founded CG with Louise Myers. “His CV is impressive and he has a host of contacts in the north-west business community that will help accelerate the growth of the firm. Under Stacey and Louise’s leadership, CG has taken a fresh approach to the legal sector and CG Professional have expanded the firm’s services offering to include Corporate, Commercial, Banking and Finance, Business Recovery, Commercial Property and Employment Law. CG now advises a number of well-known and established business organisations from across the UK. CG Professional have become known for offering bespoke, commercial solution-focussed advice and practical support, which was part of the appeal for Andy. Away from work, Andy is heavily involved with Euxton Cricket Club and the Leyland and Chorley Hockey Club.